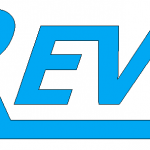 REVE Technology professionally known as “Reve” is among the leading manufacturers and suppliers of food packaging machines and spare part and services based in Malaysia. The company was established in August 2013 with the aim of offering quality products to our clients and our philosophy is “All your Packaging Machine Needs”. We provide consultancy on cost-effective solutions towards customers output to boost up their productivity. With 5 years of experience in the packaging machine industry, we have the ability to enhance customer needs accordingly including to create new customized machines to fit their production. Our main office is located in Kawasan Perindustrian Bukit Minyak, Simpang Ampat, Pulau Pinang, Malaysia. With over 5 years of experience, Reve Technology has successfully built up its reputation as a manufacturer and supplier of packaging machine industry mostly base in Northern Malaysia especially in Kedah, Pulau Pinang and Perak. Based on our decision of the company to diversify our range of products and services offered, Reve Technology has now established and managed to grab an opportunities to build business engaging in international level, in Thailand, Singapore and Indonesia. In future, Reve Technology are committed to be the most efficient and user-friendly features of the packaging machine along with stringent quality control program together with our aggressive team. To make alignments, inspections and repairs of machinery industry or equivalent. Practical knowledge using of tool and equipment appropriate for the position or specialization. Familiar of mechanical assembly is an added advantage. Responsible to install and commissioning new equipment or machinery. Preparation of work procedures for the maintenance and troubleshooting works. Understanding of simple procedure, technical drawing and mechanical schematic appropriate to the position or specialization. To provide technical support/ breakdown works in production & customer’s place. Determine when necessary machine repairs are needed and perform outdoor service with supervision of management. Keep track of spare part and inventory usage to maintain spare part/ inventory control. Communicate and feedback to immediate superior on issues and concern for corrective action. Able to liaise and communicate with Engineer on design and drafting matters. Flexible attitude towards job assigned in high performance team and an eagerness to learn new skills. Conduct housekeeping in work area and ensure compliance production safety regulations. Strong interpersonal skills, initiative to learn and able to interact effectively at all levels. Able to plan, organize and prioritize given task. Wiling to travel local and oversea. Candidate must possess at least Diploma, Advanced/Higher/Graduate Diploma, Engineering (Electrical/Electronic), (Mechatronic/Electromechanical), (Mechanical) or equivalent. At least 1 year or above of working experience in the related field is required for this position. Preferably Junior Executives specializing in Engineering- Mechanical/ Automotive or equivalent. Applicant must be willing to work in Simpang Ampat, Pulau Pinang. Required language (s): English, Mandarin & Bahasa Malaysia. Able to take the challenge, responsibilities towards job assign with minimum supervision. Meticulous, good team player and interpersonal skill to communicate among co-workers. Valid driving licenses and possess own transportation. *Interested applicants, please send your RESUME via email address to revetech3@gmail.com or direct call to our office line at (+604-506 2480) to arrange for the interview session. Previous article3,055 Jobs in Penang!! Next article2,831 Jobs in Penang! !